“Blue-eyed Soul” is at the point where it’s now becoming a cliche (white boys trying their damndest to sound like 60s/70s Motown stars in their heyday), and perhaps unfair to the people who have their work labeled as such. Nevertheless, despite labels, stereotypes and cliches, one member of the “BES” club, Ann Arbour-raised Mayer Hawthorne is less a member of the club than he is a fan, a rich mix of musical influences – and he encourages us to become the same. Fans of Hawthorne know that he’s more of a guide than a pioneer of Retro Soul; that being said, Where Does This Door Go, his third album, is a break from the Motown sounds of the 60s and more of a simultaneous glance, backwards to 70s and 80s synthesizer-laced melodies and forward to Hip Hop-influenced 808 drums. 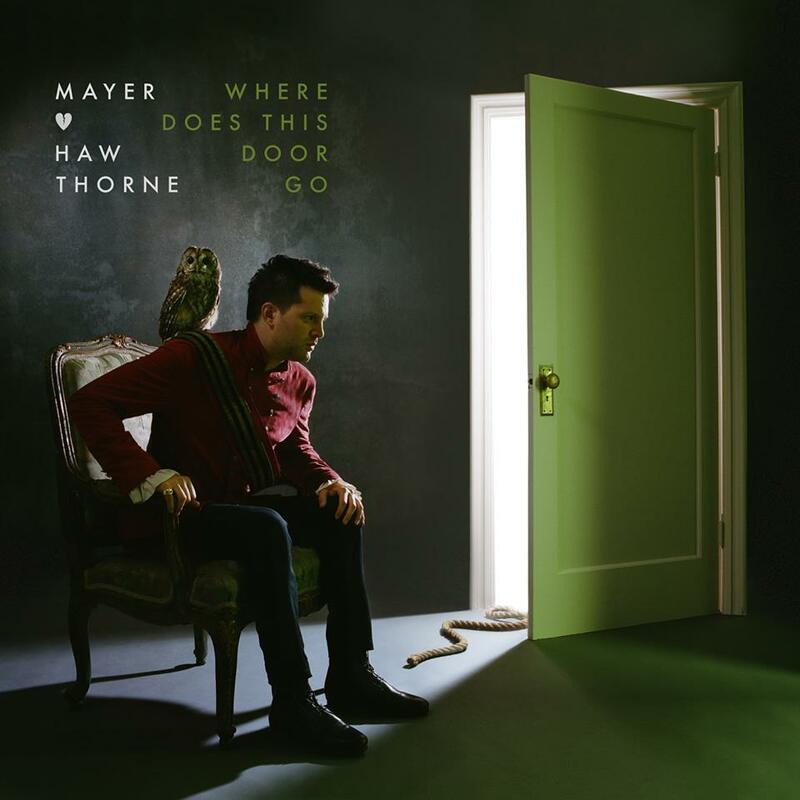 In an onslaught of artists that produce more of the same and stay safe to stay relevant, Where Does This Door Go is a welcome change, in that you can see a progression of improvement (Mayer’s untrained voice is at its best yet) and understanding of one’s own sounds while nodding to the past. The first thing you notice when hearing “Wine Glass Woman” is prolific producer Pharrell Williams’ signature drums and perpetually moving baseline. Even Hawthorne himself had to say that “this was the track that I wanted Pharrell to make. The fact that it was for me was that much more surreal“. While two-stepping with your date at a party or by yourself throughout the house, you almost miss the simple story of a label-obsessed, perfect-shelled woman who clearly has issues (“your victory will be your own demise“, Hawthorne warns). Whether the story is relate-able or not… keep calm and boogie on. On “Her Favourite Song” (coincidentally, one of my personal favourite songs on this record), Hawthorne enlists the help of British songstress Jessie Ware to tell the story of another woman – this time, one that uses the power of music to get through the stresses of life (namely, getting stood up for a date). Though this is “the simplest story on the record” according to Hawthorne himself, this track showcases the subtle references to the timeless sounds of bossa nova; the chorus finds the drums reminiscent of the familiar Brazilian rhythm, and Ware’s voice reminding us of the airy voices found so often in the past, but not so much in the present – a welcome element of the track overall. Bonus points for the tongue-in-cheek accompanying video. “Crime” might be the most happy-sounding rebellious song you’ve ever heard. Think of it as a melodic, mellowed out version of “F-ck tha Police”; Hawthorne’s lyrics (again, deceivingly simple) describes a typical ‘criminal’ situation in California: good times interrupted by buzz-killing cops. The whole track has a hazy feel to it, thanks to the live (not sampled!) sounds of the saz, a Turkish instrument that sounds a little like a sitar and is the musical basis for the multi-layered track. Of note is the crime that takes place on the track itself – the stealing of the show by guest Kendrick Lamar. Lamar’s rapid-fire delivery gives us the gritty edge that balances out the smoothness offered by Hawthorne’s voice beforehand. Fun fact: K-Dot’s first take of his version is what you’re hearing. Highway robbery on one’s own track – a crime indeed… but a welcome one. Where Does This Door Go is a departure from Hawthorne’s previous albums, but it is a welcome one. Although I’m not sure that I agree with Hawthorne’s description of his own album as “Steely Dan meets the Beastie Boys“, I can definitely appreciate his nods to Steely Dan, Stevie Wonder, Hall and Oates, and the synthesized elite of 70s-era Soul while also bringing in the sounds of new producers such as Da Internz and reliable favourites like Warren “Oak” Felder. Where Does This Door Go doesn’t necessarily let you know where it’s supposed to go, but it leaves the door open slightly ajar so that you can make your own guess – and have fun while doing so… just as Hawthorne probably intended. Honorable Mentions: “The Stars are Ours”, “Corsican Rose”, “Back Seat Lover”. media junkie. music fanatic. writer. editor. fashion enthusiast. world traveler. fiercely Canadian. language nerd. crazy like a fox. around the way girl. media junkie. music fanatic. writer. editor. fashion enthusiast. world traveler. fiercely Canadian. language nerd. crazy like a fox. around the way girl.. Follow him on Twitter / Facebook.